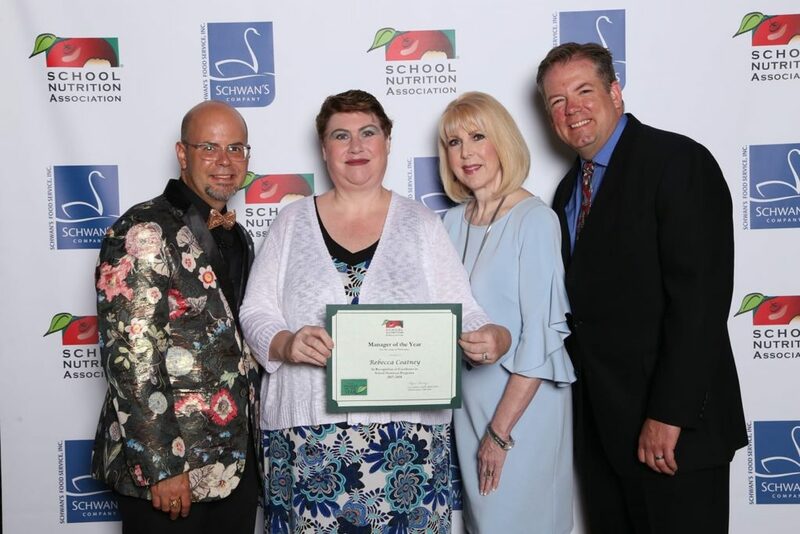 We congratulate Becky Coatney, Cafeteria Manager of Rousseau Elementary, for receiving the Manager of the Year Award, given by the School Nutrition Association. 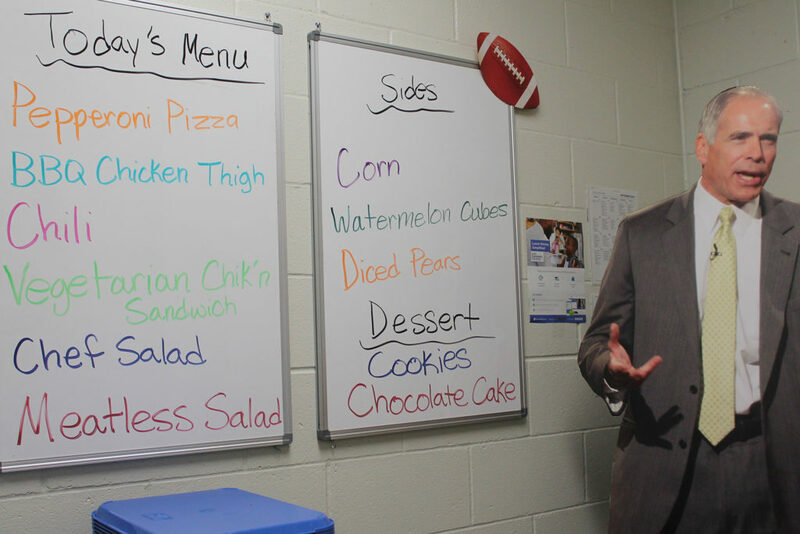 Becky has created a warm and welcoming cafeteria environment. Problem solves with administration and creates personal connections with students and families. 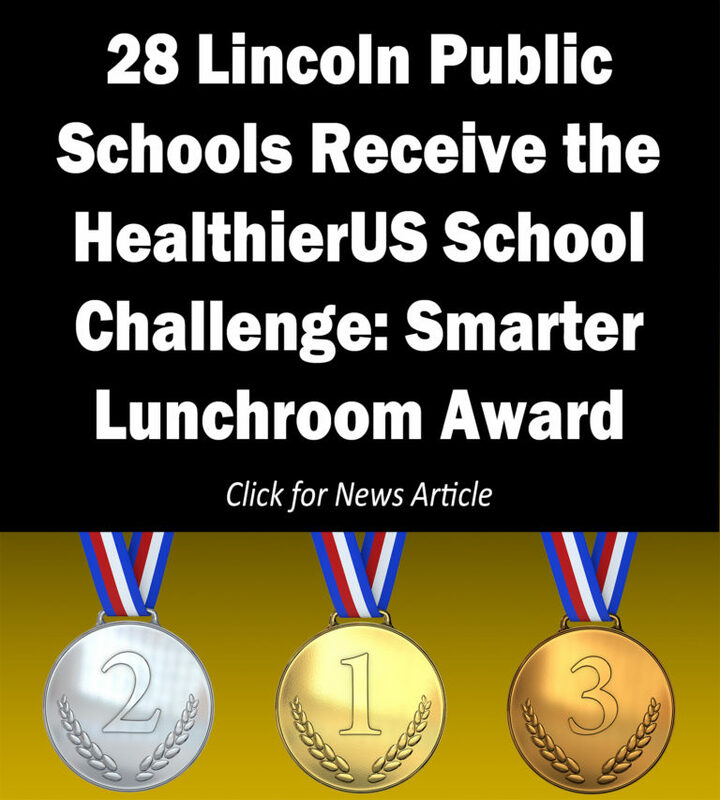 She is active on both the district and state level of the School Nutrition Association (SNA), attending state conference in the summer. She is a member of the executive board for Nebraska and holds a level 3 certification. 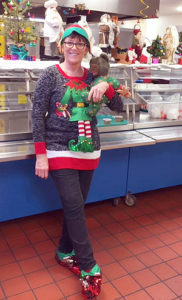 As part of the School Outreach, She is an active member of Rousseau’s wellness team and has helped to implement and fund in-class snacks to be provided for all students during state assessment testing. Arranging for UNL Husker athletes to come have breakfast with students and talk about why nutrition is so important in their lives, and providing autograph books. Parfait Day – make your own yogurt parfait. Students start with a cup of vanilla yogurt and add assorted fruit, granola and cereal toppings. “Bring a friend to breakfast” day. Inviting students and families to come and eat breakfast at school. Arranging a mini vendor show, where tables were set-up with samples of breakfast foods and give-aways like water bottles and pencils. In addition to these events Becky requested a proclamation from the Governor of the State of Nebraska requesting that the week of March 6-10 2017 be declared Nebraska School Breakfast week. The proclamation was accepted and on March 8th. Becky, members of Rousseau wellness team, staff from LPSDO and Rousseau students attended the proclamation ceremony at the State Capital. Bringing the power of the pedal, Rock the Bike is a bicycle that makes smoothies as you ride. The bike comes fitted with a blender on the back that is powered when you pedal, so kids can make a smoothie by hopping on and going for a spin. 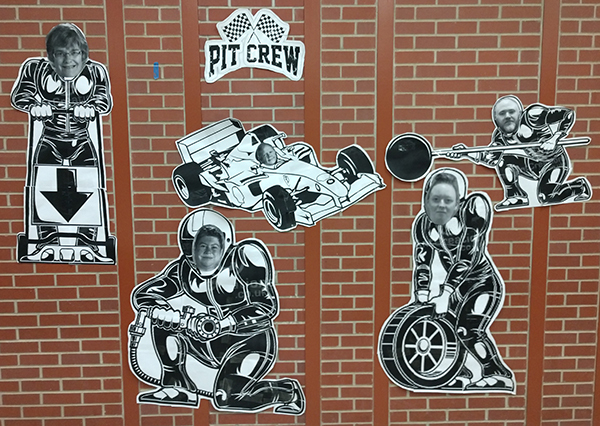 Campbell Elementary recently used one at their 4th Annual Wellness Fair in March. They had 560+ in attendance, and made all the smoothies they had planned for. The smoothie bike was a big hit! Nutrition Services provides the bike and recipe (kid-tested and approved!). Ingredients can be purchased through Foodzone as well. Smoothies can be ready in as little as one minute depending on the ingredients, and of course by how fast one pedals. You may even catch an adult or two trying it out! 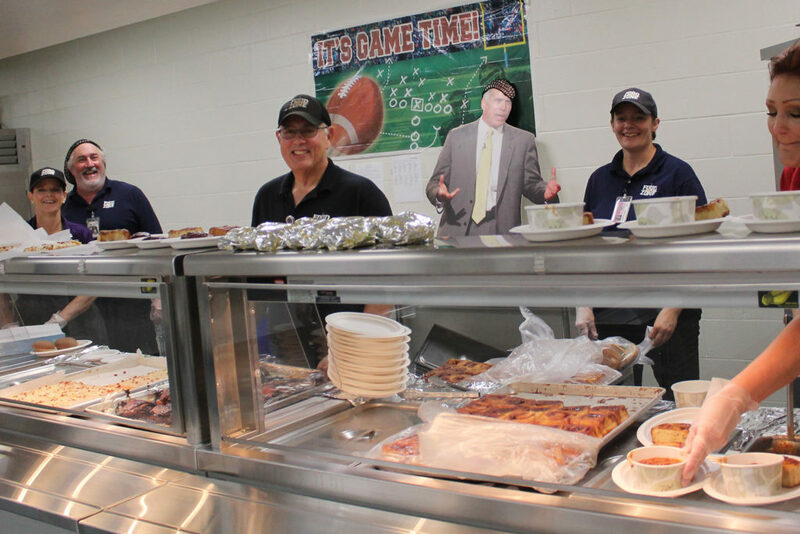 Foodzone celebrated National School Breakfast Week March 4-8. 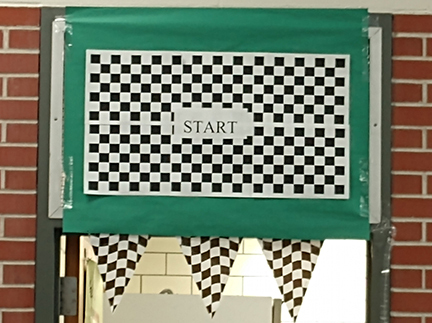 The theme: Start Your Engines! 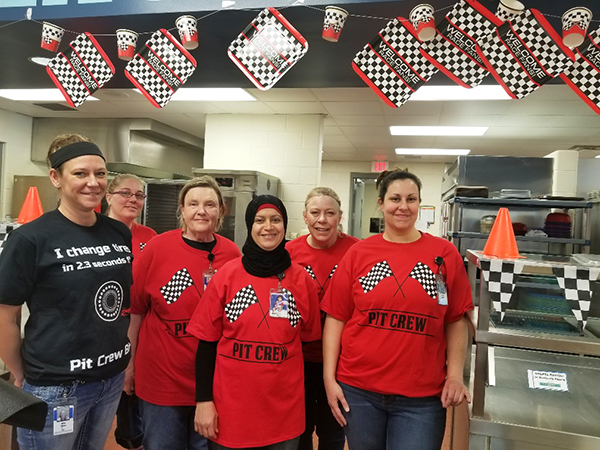 Kitchens decorated serving and eating areas, and dressed in racing themed shirts. Students at Roussseau enjoyed Parfait Day, making their own yogurt parfait with different fruits and granola as topping choices. 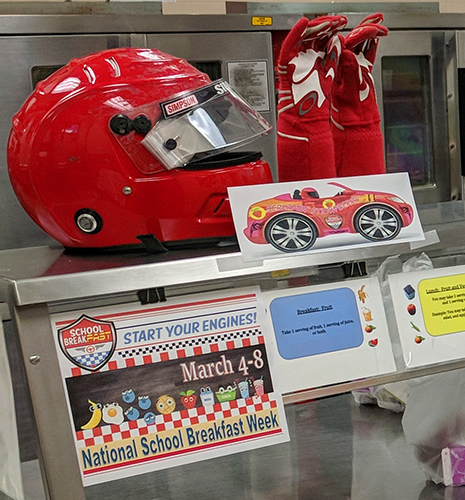 The National School Breakfast Week celebration reminds parents, students and school personnel that fueling up at breakfast also means winning in the classroom. Lincoln Southwest High School Student Council was putting together ‘cancer care packages’ that will go to local children suffering from cancer. 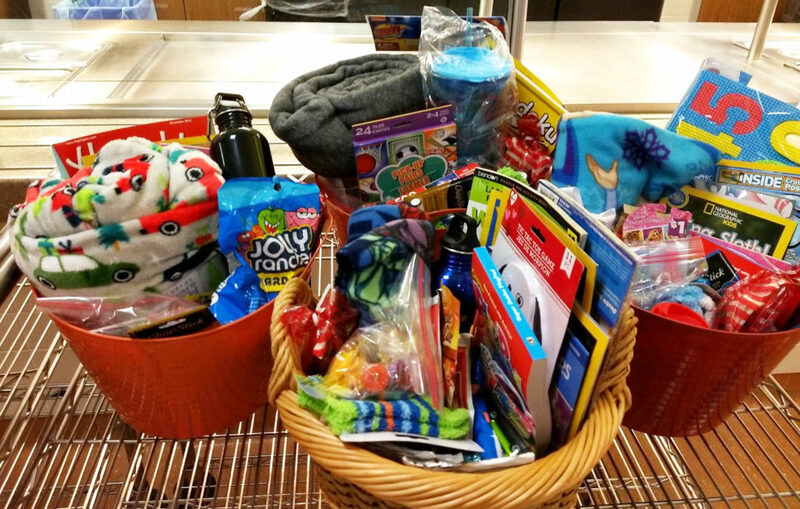 Part of their fundraising was asking departments within the school to donate a basket full of items such as fuzzy socks, mints, word puzzles, etc. 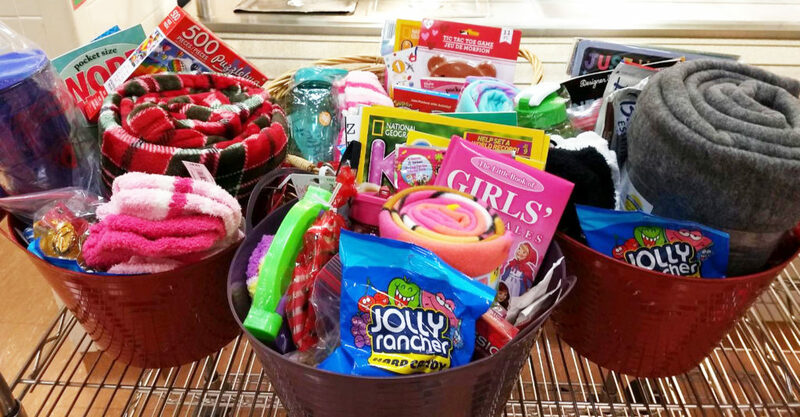 The filled baskets would be donated to the Lincoln Children’s Hospital. 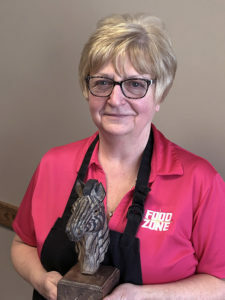 Zeman Elementary staff nominated cafeteria manager Kim Morrock for the Anna Zeman Award. This is an award that staff give to each other for contributing to their students and community. The school LOVES Mrs. Morrock, and we think she’s very deserving as well. Congrats!! 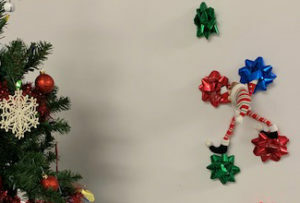 Randall the Elf has once again arrived at the Randolph Elementary kitchen, and has been up to some shenanigans. 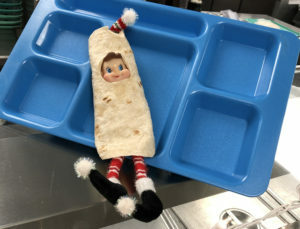 First, he made a bridge so he could get from one high shelf to another, then wrapped up in a tortilla to play long with Taco meal day. He climbed the “ribbon” wall, and had a snowball fight with some friends. He’s always entertaining! 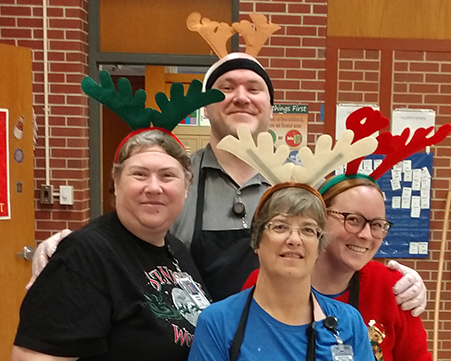 Foodzone staff from Rousseau and Prescott also joined in the holiday fun with reindeer ears and an elf costume. 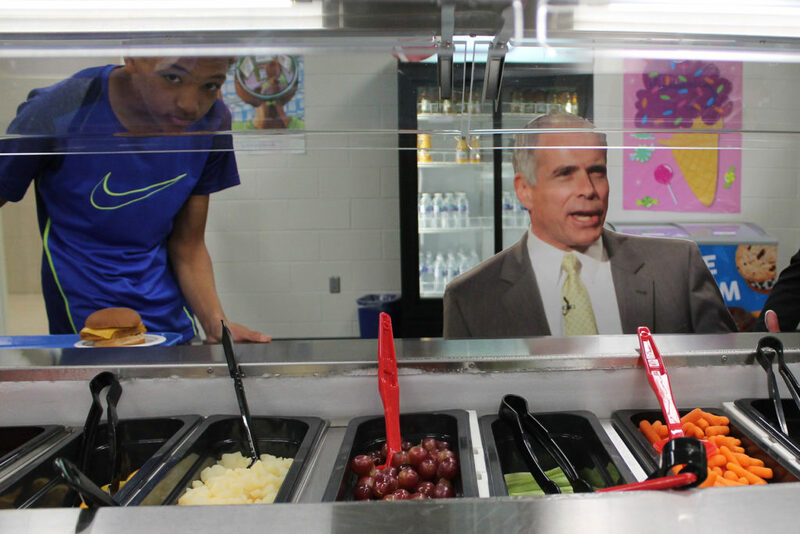 Flat Steve has been making the rounds in LPS, and recently visited Moore Middle School Cafeteria. He even wore his hair net and loves chili and cinnamon rolls!  If you would like to contribute towards the emergency needs of your LPS neighbors, you can make a tax-deductible contribution on the Foundation for LPS website. 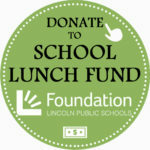 In the “Donate To” box, select School Lunch Fund. on receiving level 3 certification in the School Nutrition Association.